An international team of scientists including from the University of Adelaide have identified potential inhibitors of specific cell membrane proteins, which are involved in the spread of cancer to other parts of the body (metastasis) and in the progression of autoimmune diseases such as multiple sclerosis. The newly identified molecules strongly inhibit the action of the two 'chemokine receptors' CXCR4 and ACKR3 which work together to regulate cell migration, important in both cancer metastasis and autoimmune disease. The findings of the research team from University of California, San Diego, and the Chemokine Biology Laboratory in the University of Adelaide's Centre for Molecular Pathology, published in the Journal of Biological Chemistry, are an important step towards the development of new therapeutic treatments for these diseases. One of the new molecules, the variant which bound most strongly to the CXCR4 receptor, inhibited multiple sclerosis in a laboratory study. 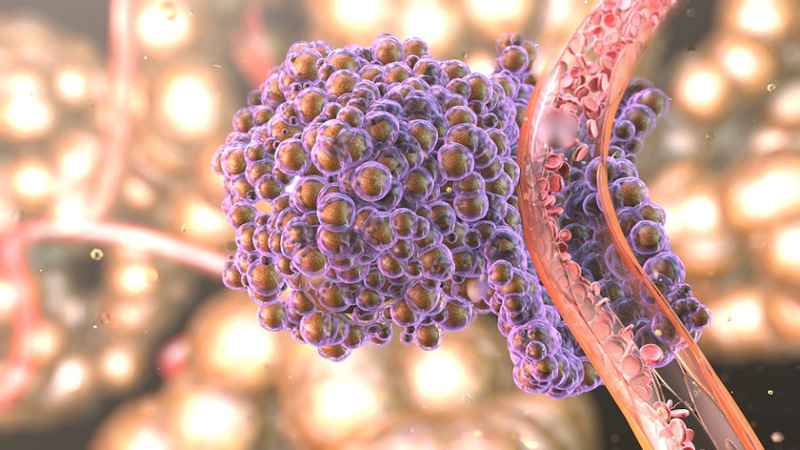 "Scientists around the world are looking for ways of blocking the CXCR4 and ACKR3 receptors as a means of preventing or at least slowing down the cell migration that underlies the progression of these diseases," says Professor Shaun McColl, Director of the Centre for Molecular Pathology at the University of Adelaide. "We hope these new molecules will be the basis for the design of new drugs that will interfere with cancer metastasis and inhibit multiple sclerosis." The researchers have identified12 molecules of modified human protein, which act against the receptors, four of them very strongly. They used a state-of-the-art method called 'phage display' to generate thousands of modified molecules of these natural human proteins which were then screened for their ability to bind to the target receptors. The method produces inhibitors specific to a particular protein. "Cancer treatment is at the stage where the aim is to get more specific with treating different cancers so there are fewer side effects of chemotherapy," says Professor McColl. "Scientists working in this area are searching for precise molecular targets to inhibit or at least control disease like cancer and multiple sclerosis without harm to other parts of the body.